Nishant Chaturvedi...: Population of 1.25 billion & just 2 medals in Rio Olympics! India introspect! 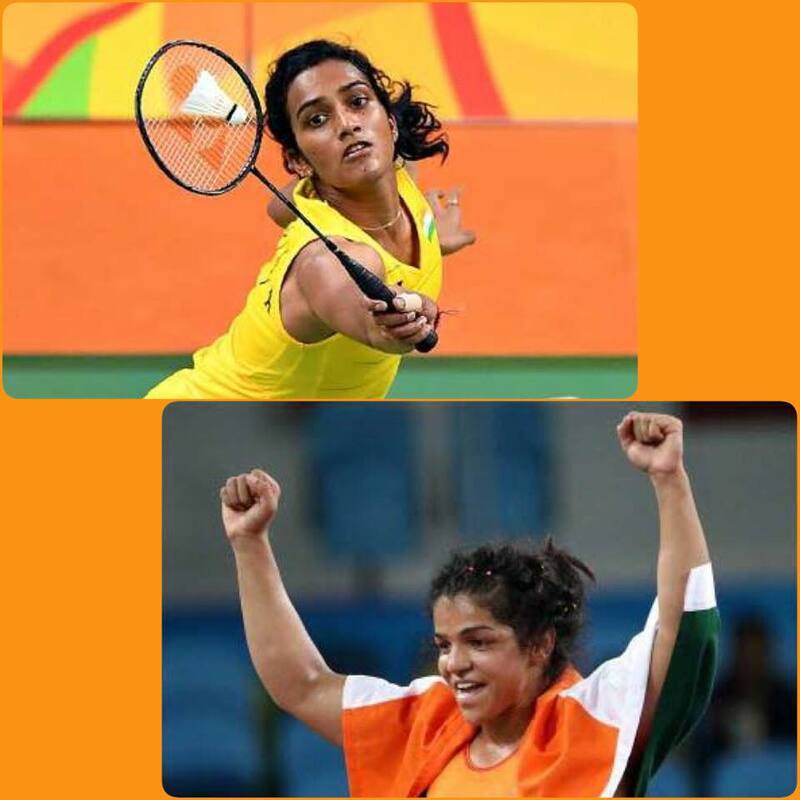 Population of 1.25 billion & just 2 medals in Rio Olympics! India introspect! With Yogeshwar Dutt being knocked out in the first round of 65 kgs freestyle wrestling, team India lost its hope of bringing home third medal from Rio Olympics. Yes; ironically we had high hopes for third medal for India from the Olympic 2016 from Yogeshwar Dutt, the other two medals brought in are silver by PV Sindhu for Badminton and bronze by Sakshi Malik for freestyle wrestling. What an irony! In Rio 2016, we have the largest ever delegation of 117 athletes and we could win only two medals. Now, compare this with countries like Iran; a delegation of 63 athletes won 8 medals including 3 gold medals, Thailand; a delegation of 55 athletes won 6 medals that include 2 gold medals, Azarbaijan; a delegation of 55 athletes won 18 medals, including 1 gold medal. Something that will take you by surprise is the stark difference in population count of these countries when compared to India. The combined population of Iran, Thailand and Azarbaijan is still lesser than that of Uttar Pradesh. The population of Azarbaijan is approx 9.5 million, which is far lesser than National Capital New Delhi. So the big question is why world's second most populous country with 1.25 billion people can produce meager 117 athletes of Olympic standard and these could only get 2 medals, that too with no gold. Also, we need to introspect, why in last 116 years of India's Olympic journey, we have won just 28 medals with only 9 gold medals that too 8 golds in Hockey and only 1 in the individual event of shooting by Abhinav Bindra in 2008 Beijing Olympics. What can be inferred from these glaring statistics? 1. Sports other than Cricket are not given much weightage as a career option by people because neither they appear financially lucrative nor glamorous as cricket. 2. More than the government, it's the apathy of corporates & the wealthy individuals towards other sports that has to change. Imagine badminton coach P Gopichand had to mortgage his house to build his badminton academy in Hyderabad, which finally gave a silver & a bronze in badminton in two consecutive Olympics i.e in 2012 & 2016. 3. At the grass root level schools and colleges lack the basic infrastructure that can encourage other sports, so even if someone is god-gifted with a natural talent then it gets crushed at the school level, itself. 4. The concept of sports school or college is still not seen as an option in India's education system. 5. In the last 116 years of our Olympic exposure, we have not been able to produce many Olympians of international class, therefore, we also lack coaches, who can nurture and groom the talent for the international level. 6. Other than hockey, that too only till 1980, India has not done well in team events in Olympics and no wonder, this is a poor reflection of our esprit de corps. 7. Finally... However, we may criticise Shobha De's comment on Twitter but as a country we only celebrate individual brilliance, rather than taking Olympics seriously . Hence, the popular lingo 'kaun sa Olympic mein medal jeetna hai' needs to vacate our mind. India has shown the globalised world that from information technology to beauty peagents, from cricket to yoga, we can be the world leaders and world beaters, so why not show the same spirit in Olympics? Olympics is a platform that has inspired generations, it is a sea that carries the waves of excellence of human spirit and endurance, so why shouldn't we be touched by it?